Two new things from me today. I have a lovely blog sponsor for the month of September - PaperShaker. I know it seems the norm to announce your baby's birth on Facebook or Twitter, but I adored sending traditional announcement cards when my boys were born. PaperShaker offer a range of beautiful personalised photos cards, invitations and have a stationery line coming soon. I for one still get ridiculously excited over pretty stationery and can never resist a sweet notepad! Check them out for your next memorable occasion. I am also sharing a little idea that has been bubbling away for a while. I love using props in my blog photography and especially in the food and drink recipes that you may have seen popping up. I think it's my love of photography that is driving this new love of cooking, but if that's what gets me finally in an apron, hooray! Every fortnight, starting next week, I am going to share my props finds, or bits from around my home that have suddenly had a new lease of life as a photo prop! 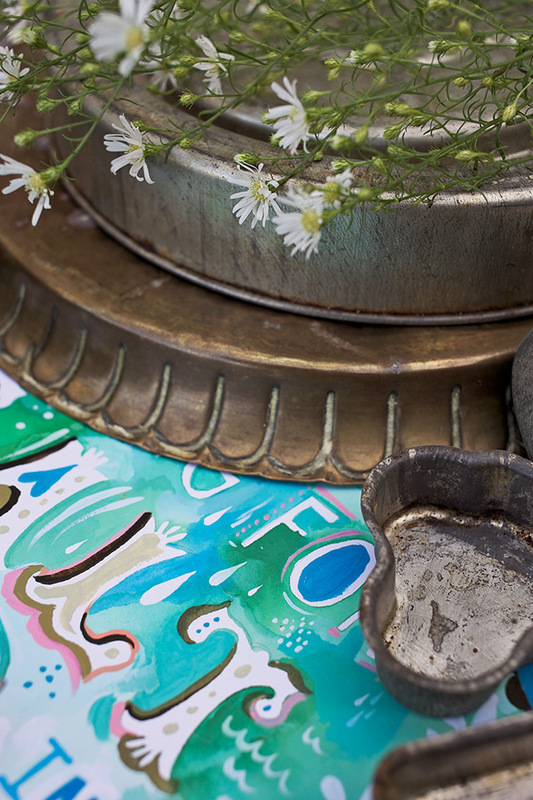 I'd love you to join in and link up your charity shop bargains, car boot finds (suddenly rusty cake tins are in high demand) or show us all how you've used something new or old from around your home as a prop in a blog post. I have an idea for a "mini savoury allotment" this week (think baby carrots and courgettes) so I have gathered together some of the earthy and green colour way props. Some I picked up in charity shops for pennies and some I already had in the cupboard. The fake moss is from our holiday to America! But I just love the texture of it and I think it will look fab in a photo! You can join in using the #SundayPropShop on Twitter and Facebook and the link will be open for 2 weeks so you have lots of time to style up your blog shoot! The best way to inspire and be inspired is to share ideas, so I look forward to seeing lots of yours!